Next week, the DNR is expected to announced a pheasant action plan that is also a result of the summit and will likely include more suggestions for increasing the permanent acreage of natural grasslands in the state. WHAT: Gov. Mark Dayton and key administration officials will discuss an action plan designed to revitalize Minnesota’s pheasant hunting tradition and restore grassland habitat. Actions outlined in the plan grew out of citizen ideas offered during 2014’s Pheasant Summit in Marshall. WHERE: Nicollet Conservation Club, 46045 471st Lane, Nicollet, MN 56074, 507-232-3366. Take U.S. Highway 14 west out of Nicollet for approximately ½ mile. Turn right (north) on to 471st Lane/Township Road 173 and travel approximately 0.8 miles. The club is located at the end of the road. Kevin Lines, Pheasant Action Plan Coordinator . . .
Our reader notes that Highway 14 is under construction, so those attending should plan accordingly. We've occasionally bird watched on Swan Lake near the club; bring your binoculars if you're inclined to watch for waterfowl and migrating birds. Photo: Swan Lake, via Nicollet County website. 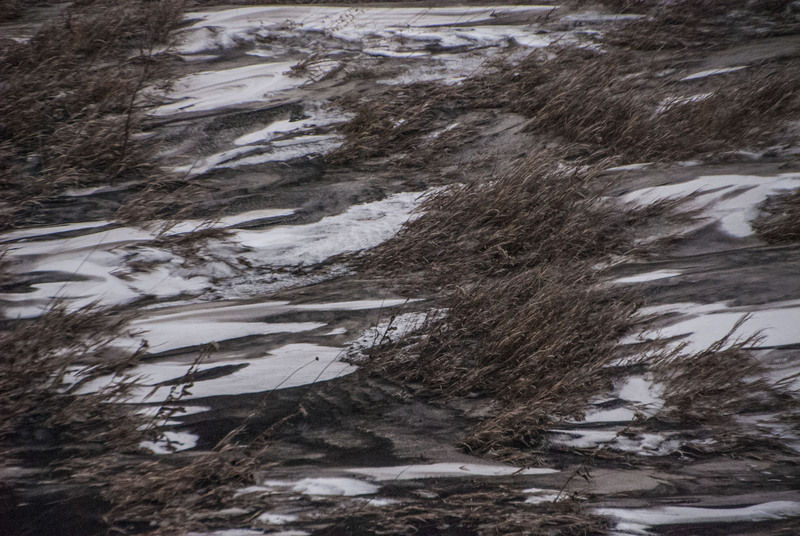 While pheasants won't be wading in the lake, conservation efforts surrounding the large but shallow prairie lake provide prime habitat for pheasants and other wildlife. “At this point I’ve had no one from Greater Minnesota tell me that they think this is a great idea,” he said Friday. “I also want to send a message that we in the agriculture community are not anti-buffer,” Torkelson said. Will no one offer this poor man solace? The bill was introduced on Monday, March 9, 2015 and by Friday, he could remember no one from Great Minnesota telling they even liked the idea. To cheer up Representative Torkelson, we went looking to see if we could find people from Greater Minnesota who might have told the pork producer that they think this is a great idea. First, we would like to remind him of his co-author, Representative David Bly, Democrat of Northfield. Unless the sylvan city of cows, colleges and contentment has also become the metropolis of radical gerrymandering, David Bly is a resident of Greater Minnesota. He is a resident of Greater Minnesota thinks this idea is so good that he introduced a clone bill, HF1819 on Thursday, March 12, 2015. I have not seen or heard from Rep. Torkelson since the bill was introduced. I had offered to author it. I will see Paul tomorrow at the Leg. Water Commission. Many of my greater Minnesota constituents have e-mailed me that they whole heartedly support the Governor. Many farmers I have talked to say they support the concept and want to work on it. Some agree with clean safe water but don't want a 'one size fits' all approach. A few don't want anyone telling them what to do. I have a few farmers tell me they are concerned about the practices of their neighbors and recognize the need for some enforcement. Saw and talked with Paul on Thur before and after the committee meeting. This was only mentioned in passing, he knows we support the concept and we are willing to work on the details. Most of our conversation centered around the bill on the table that neuters the citizens board for the MPCA. Personally I would like to see a provision that works with the landowners to improve results, t-values, of the water leaving their property. How each farmer would do this would depend on their circumstances. In some cases narrow buffer strips are fine in others complex systems may be needed to control the runoff into the waterway. We all want clean water and will do what we can where we can to get it. I sent him an email on Friday thanking him for introducing the bill and quoted 4 positive comments from Renville County landowners. Our final example to help Representative Torkelson cheer up about the bill he authored comes from Clean Up the River Environment (CURE) in Montevideo, Minnesota, a rural, grassroots membership organization that's dedicated to conservation in the lovely Upper Minnesota River Valley. All of Torkelson's district is in the Minnesota River watershed, and what with his being the author of the bill and all, we're surprised he hasn't been contacted by members and staff of the group. He and his staff must not go on social media much, since the (mostly) energetic young staff at CURE has been tweeting away about #BuffersNow. Here's a nice tweet with a picture from Thursday by Ariel Herrod, a CURE staffer who lives in Montevideo. We sincerely hope that this brief digest cheers Representative Torkelson up about his bill. Listening to all those Debbie Downers at the commodity groups would depress anyone. Be very polite about your support of the bill. If you want to learn more about the proposal so that you feel more confident about your message to Representative Torkelson, Bluestem recommended the DNR's new Governor's Buffer Initiative webpage. Meme: An example of the pro-buffers social media Greater Minnesotans are sharing. MN Soybean Growers & Rep. Miller totally agree governor's buffer strip proposal "Not good"
Freshman Minnesota State Representative Tim Miller may think that free food for legislators is a good thing, but he tweeted today that Governor Dayton's proposal for beefing up buffer strips is "not good." And the Minnesota Soybean Growers agree with the Prinsburg lawmaker, sharing his tweet along with their agreement (embedded above). The link leads to outdoor writer Sam Cook's article for the Duluth News Tribune and other Forum Communications papers. [House Environment and Natural Resources Committee] Committee chairman Denny McNamara, R-Hastings, was more optimistic [than Dan Fabian (R-Roseau)]. Since McNamara owns over 600 acres near Graceville in Big Stone County, Upper Minnesota River Valley nationalists, conservationists and hunters enthusiastically greeted his statement on Facebook. Orrick also follows up on his earlier reporting about Minnesota Department of Agriculture Commissioner David Frederickson's remark at the Pheasant Summit in late 2014 that, if existing buffer strib laws aren't being enforced, perhaps they should be repealed. Conservationists, pollinator protectors, clean water advocates and pheasant hunters were dismayed by the approach. Later Friday, Fredrickson issued a statement saying he supports the governor's plan. Fredrickson also sought to clarify his previous statements. "I have never stated, nor do I believe, that abandoning buffer laws and rules would be good public policy for Minnesota," he said. "However, it is well known that our buffer laws are not being enforced. In the end, we all want compliance. I continue to believe that the best strategy is an incentive-based approach." . . .
Perhaps the genial ag commissioner can salt a few buffer strips in Renville County with free appetizers and a dessert bar for legislators, and Miller will see the conservation practice as a good thing. Check out our earlier coverage in our post,The birds, bees & buffer coalition: will pheasants find friendly habitat in the 2015 session? Photo: Rep. Tim Miller (R-Prinsburg), via Facebook. The birds, bees & buffer coalition: will pheasants find friendly habitat in the 2015 session? Governor Dayton's Pheasant Summit generated some fascinating copy, including an interview with Minnesota Ag Commissioner Dave Frederickson in which he talked about just abolishing laws that require buffer strips regulations to be enforced because preserving water quality and habitat just creates too many hard feelings. And we read a lot elsewhere about not pointing fingers at farmers, prompting the cartoon above about other sorts of bird dogging of the issues. That dog is setting the lobbyists, not the farmers.
. . . grassland habitat has shrunk, and the state's pheasant population has continued its long-term decline, as has the decline of pheasant hunters buying licenses and venturing afield. In response, Dayton convened the state's first Pheasant Summit this month in Marshall, Minn. This pheasant hunter-dominated congress talked, brainstormed, complained, proposed and voted on a set of things to do. Now those things lie at the feet of the Department of Natural Resources, its commissioner Tom Landwehr and, ultimately, Dayton, who appointed Landwehr and can direct the agency's policy as he sees fit. Pheasant hunters -- and the much larger audience of advocates for wildlife and pollinator habitat, clean water and prairies -- should pay close attention to how this plays out in the next several months. That roadside-and-buffer enforcement earned the most votes is fortuitous for pheasant hunters. For one, it's not some overly ambitious notion outside the purview of state government. Second, it's not new regulations. And third, and most importantly, it's a demand hardly unique to pheasant hunters. Minnesota's Shoreland Protection Act, which requires grassy buffer strips along waterways and drainage ditches in farmed acres, wasn't intended primarily for the benefit of hunters. Rather, it's a clean-water law, intended to reduce erosion and runoff from fertilizers and pesticides. Such buffers also create close-to-crop habitat for honeybees, and several beekeepers -- honey farmers, if you will -- attended the summit in support of more grassland habitat. Should support be needed in the Legislature -- and it's unclear whether it would -- it could come from metro clean-water and pollinator advocates who might not otherwise stick out their necks for hunters. . .
Committee vice-chair Mary Franson (R-Alexandria) is also hearing from conservationists in her district about enforcing the buffer requirements, she tells Bluestem Prairie. This seems like a conservative and common sense approach that could serve water quality as a well as wildlife and agriculture, which does depend on pollinators. It's important that we have this conversation. Cartoon by Ken Avidor for Bluestem Prairie. A former forklift operator at the JBS plant in Worthington, Moerke lives in Luverne and now serves as Field Staff at West Area Labor Council/Red River Valley, so roads are a big deal for him, both as a driver and a guy working for unions that welcome the roads transportation project bring. Now, looking at the new committee assignments, we see that that situation isn't quite as dire as Moerke claims, but it's still pretty bad for western Minnesota have a vote on the transportation committee. Let's look at the changes. Of the members on the current committees, Mark Anderson (R-Lake Shore), Rod Hamilton (R-Mountain Lake), Jeff Howe (R-Rockville) and Mary Sawatzky (DFL-Willmar) are arguably in the "western half" of Minnesota, although Anderson's district is in the Eigth Congressional District (which tilts east) and most of Howe's district is in the Sixth, which does the same thing. Hamilton's district is in the First and is properly called southwestern Minnesota, whereas Sawatzky is here in the west central part of the Seventh. Another way to look at the transportation map is by Minnesota Department of Transportation Districts, where the state is divided into eight regions. Under the current, expiring district structure, people in the western districts that touch on the western border--or western part of District 7, which sprawls mostly in the south center part of the state--enjoy having a rep on one committee or the other. Clark Johnson's very central district is in District 7, as is John Petersburg's Waseca County, though most of his House district is in MNDOT District 6, which serves Southeastern Minnesota. Who's on the new merged committee? Sawatzky was defeated and Hamilton's not serving on the transportation committee this go-around. Mark Anderson's there, and Jeff Howe, who are sort of western--with Clark Johnson and John Petersburg, who live in that eastern part of MNDOT District 6. But none of these men represent what my friend from Luverne calls "the wild, wild west" and certainly west central Minnesota is not on the map of anyone on this new, merged committee. In fact, Southeastern Minnesota and the suburbs do seem to be the big winners in Transportation Committee bingo in the 2015-2016 biennium session. Committee Chair Tim Kelly is from Red Wing, on the gateway to Southeastern Minnesota, while Vice-Chair Petersburg is Southeastern. Steve Drazkowski hails from Mazeppa, in Southeastern Minnesota. McNamara is from the Hastings area, while Norton reps Rochester. Sundin is from Esko, in Northeastern Minnesota. We'll call Moerke's claim as mostly true--and it calls into question the claims about "geographical" balance that Daudt is touting. The supposed neglect of transportation needs in Western Minnesota was a big deal in the 12A and 17A races, when Backer and Miller could pull themselves away from fretting about marriage equality. With Sawatzky gone from 17B, and Hamilton off the committee, who will think of Western Minnesota when the budgets are drawn up? All of rural Minnesota isn't equal on this road map. And this omission also should give us pause about the supposed-balance being created in other committees, including Speaker Daudt's banishment of elder environmental stateswoman Jean Wagenius from the Environment & Natural Resources Policy & Finance, to be replaced by Austin-area DFL Jeane Poppe, who chaired the expiring ag policy committee. Geography? Wisdom? What exactly is the balance that Daudt is creating? Photo: A highway in Minnesota's wild wild west, which may not be known to the consciousness of anyone on the new transportation committee. Photo by Dale Moerke. 2011. One of the most moving moments of last spring's medical cannabis debate in the Minnesota House of Representatives was when Southwest Minnesota state representative Rod Hamilton (R-Mountain Lake), who lives with multiple sclerosis, rose to speak of his transformation from being an opponent of legalizing cannabis for medical use to becoming a supporter of the new restrictive bill. Rep. Rod Hamilton, R-Mountain Lake, paused several times to regain his composure as he described meeting with families who support medical cannabis legislation. Hamilton has multiple sclerosis, and he spoke emotionally about why he has voted against similar bills in the past. "Only a fool and a dead man never change their minds," Hamilton said. "I'm proud to be a flip-flopper on this issue." With the release of the names of the two manfacturers and locations of the dispensaries they plan to open, perhaps it's time to change some of the details of the plan, which leaves people in the state Senate District 22 miles from relief. While one location where medical marijuana will be distributed is in each of the state’s eight congressional districts, officials admit it will be a long haul for some patients. In Luverne, for instance, the nearest distribution center is in St. Cloud, 199 miles away. LeafLine co-founder Dr. Gary Starr said more sites may be needed. Luverne is in the western part (22A) of Senate District 22; Hamilton represents the house district in the eastern part (22B). A 400-mile round trip for medicine isn't an abstract proposition for one Luverne family. Last spring, KELOLand Television told the story of now five-year-old Luella Johnson, a likely candidate for medical cannabis to treat the rare form of epilepsy called Dravet syndrome that she lives with. “Why is southwestern Minnesota being forgotten about for distribution?” asks Jeremy Pauling of Montevideo, a member of the state‘s newly formed task force on medical cannabis. It‘s a question he said he posed to fellow task force members on Wednesday in St. Paul, as Pauling made known his concerns about the lack of a designated site in this region of the state. “That’s the fight I’m taking right now because it’s not fair to us in southwest Minnesota,” Pauling said. Pauling’s appointment earlier this year to the task force followed his work to promote Minnesota‘s law allowing medical cannabis. Jeremy and his wife, Kristy, have a young daughter who suffers seizures due to Batten disease. They advocated for medical cannabis to ease her suffering. . . He said his complaints about the lack of a southwestern Minnesota distribution site did not seem to generate much attention at the task force meeting. He said one of the arguments tossed against him was that it has been hard to work with communities to locate distribution centers. Pauling challenged the claim. The communities of Montevideo and Granite Falls had both gone on record this autumn as supporting a proposal by Pauling that would have located manufacturing and distribution facilities. He is also aware that the city of Willmar went on record as supporting a proposal by another party for a manufacturing site. He told task force members that any of the three communities would work with the chosen manufacturers to host a distribution site. Pauling is now urging patients in southwestern Minnesota who intend to obtain prescriptions for medical cannabis to speak up and let the Minnesota Department of Health know their interest in having a site in the region. The department and the manufacturers need to know that there will be the number of patients needed to support a distribution site in the region. Here's hoping that Hamilton and other area legislators remember the Mountain Lake lawmaker's wide words from last spring, and act wisely to help area patients. This isn't case for foolish adherence to a plan that puts undue burdens on sick people and their families. Map: Locations of proposed dispensaries, via Bring Me The News' Shaymus McLaughlin's Medical marijuana: While some have easy access, others a long drive away. Curiously, the county with the largest concentration of foreign-born residents isn't Ramsey or Hennepin County, but rather Nobles County, on the Iowa border in the decidedly non-Twin Cities Southwestern Minnesota; the fourth and fifth ranked counties (Watonwan and Olmsted, respectively) are also located in Greater Minnesota. Our observation about this fact caused Worthington businessman Bill Kietel to offer this July 2013 post about his town in the Minnesota county with the state's highest concentration of foreign-born residents for crossposting on Bluestem. My town is different than your town. You might go many places and travel far and wide. I have an interesting community that allows me to enjoy the far flung reaches of the world right in my own back yard. Recently the news is all about “immigration” and our national concerns for security. I find “security” in my own back yard and in my community. Before you respond to the hype and fear about immigration (legal or undocumented) let me tell you about my community. I am a small business man who has modestly prospered in this curious setting. I have come to embrace the fine people that are immigrating to my community. They have become the life blood that has allowed our community to continue to prosper in a time when the demographics are completely against us. Our community is located just south of the mythical “Lake Wobegon,” but we've begun to defy those demographic characteristics. Our accommodation of the newest immigrants started about 25 years ago with Vietnamese and Laotian peoples. It has continued throughout the decades and has been of great benefit to this community, a community that would have demographically drifted off the chart because of an aging population. Many of my Lao and Vietnamese friends are here because they stood up for American ideals, risking both their lives and the lives of their families, much to their credit. In quiet moments, I have heard their stories; they have have brought tears to my eyes, and I have a profound respect for them. American Idealism? I have not sacrificed like they have sacrificed. If they would tell you their stories, you would have a new found respect for the immigrant experience. Immigration doesn’t happen because things are dandy. Immigration happens because people are at the limits of their own (moral) tolerance. Today , I can take my three-block walk to work and say “Hello” to my neighbors in many different languages: Sai Bai Dee (Lao), Buenos Dias (Mexico, Guatemala, El Salvador ), De Tu Jot (Sudanese) Djow Go (Vietnamese), Ka May La ha (Ethiopian), Mengalaba (Karen). These are perhaps crude renditions of their words, but speaking the greetings allows me a comfort zone with my new neighbors. I have them sign an atlas in my store, which allows me the ability to understand where they have come from, and oftentimes, it allows me to understand some of their travails. They all enjoy and appreciate my attempt to speak in their native tongues (they laugh at me), as they continue to become assimilated into our community. We are a small community and we strive to make sure that no one is anonymous. Assimilate: they have! I am convinced that these new immigrants have saved my community. They have purchased homes, they have purchased cars, they have kept our grocery stores busy. They have created their own grocery stores. Many have started their own businesses, some try and some fail--for that I think more of them, not less. They are the new graduates at the local community college. They have become the New Worthington. There might be a few people that consider this immigration a threat--those folks are prone to fear a loss of their standing within their perceived place within our community. The good news is that the majority of folks around these parts recognize that this “immigration thing” is of great value to our community. If you are looking for the latest trendy shopping mall or strip mall (filled with brand named stores), Worthington might not be the place for you. We do have many standardized big box stores; however, if you are looking for a real “WORLD MARKET” experience, I encourage you to come and visit Worthington. It won’t be completely standardized with all the generic brand name stores, but if you have a truly adventuresome spirit, you can enjoy a real World Market experience. Ma and Pa stores are sprouting up as we speak, and they embody the new entrepreneurial spirit of Worthington. Immigration has never been clean and tidy; it has a learning curve. My community, Worthington has stepped up to the plate and embraced that spirit of accommodation. We learn from our friends, we learn from our new found immigrants, we learn from being able to say, "I don’t understand you, explain to me, again." That is what it means to be accommodating. We aren’t afraid to understand our new neighbors. We recognize that “They” are "Our" new beginnings. We have been re-invented and though we do make mistakes, we recover and strive to learn from them. We have every reason to stand tall and be proud. Worthington has benefited from its new found immigrants and I suspect history will eventually write a new chapter about this community and its accommodating spirit. About the author: Owner of the Buffalo Billfold Company, a purveyor of exquisite handmade leather goods, Bill Keitel is a force of nature in the civic life of his community. Read his Forum Communications' Area Voices Blog, UnVarnished Essays-Road Notes, for more of his essays and notes. Map: Nobles County, Minnnesota (red square on map). According to the interactive map (though not the text) posted in MinnPost's Which Minnesota counties have the highest concentrations of foreign-born residents?, Nobles County has the highest concentration of foreign-born residents of any Minnesota county. It's also arguably the windsurfing capitol of the state.